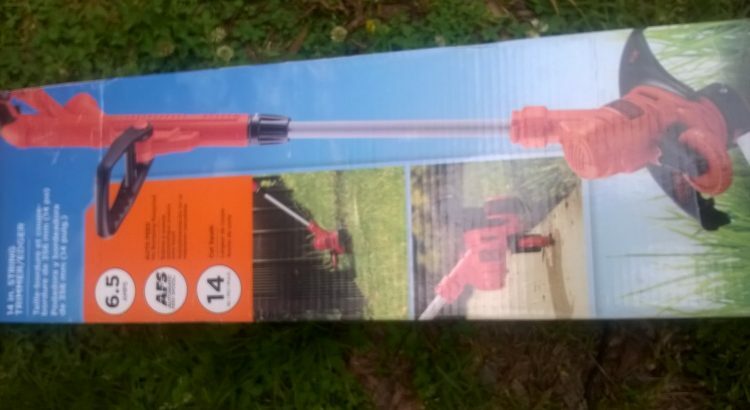 I purchased a Black & Decker string trimmer last year after an attempt to purchase a part for my Toro trimmer from ACE Hardware was unsuccessful. The trimmer cut well but used an entire spool of cord after several uses. A search of internet reviews and comments revealed that this is a common problem. Back in the day when the cord was shortened, one had to pull it out manually. Then manufacturers came out with bump and auto feed. The auto feed function appears to be the culprit. My test today, which took about 5 minutes and included many stops and starts, used half a foot of cord. 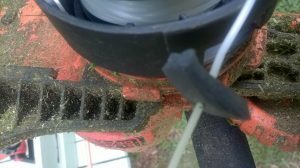 By contrast, the Toro trimmer, with a governor I created and installed fed no more string and the initial section was intact. I installed a governor, a piece of rubber with a small holed drilled, on the Black & Decker trimmer. More testing will be necessary to see how this works. The governor will hopefully slow the exit of trim from the spool and money from my pocket. Here is a video on the auto feed mechanism and how to deactivate it.